Delta has made a strong commitment to reliability, highlighted in a series of social media videos themed #whoweare that began in late August. In each one, employees speak directly to customers. 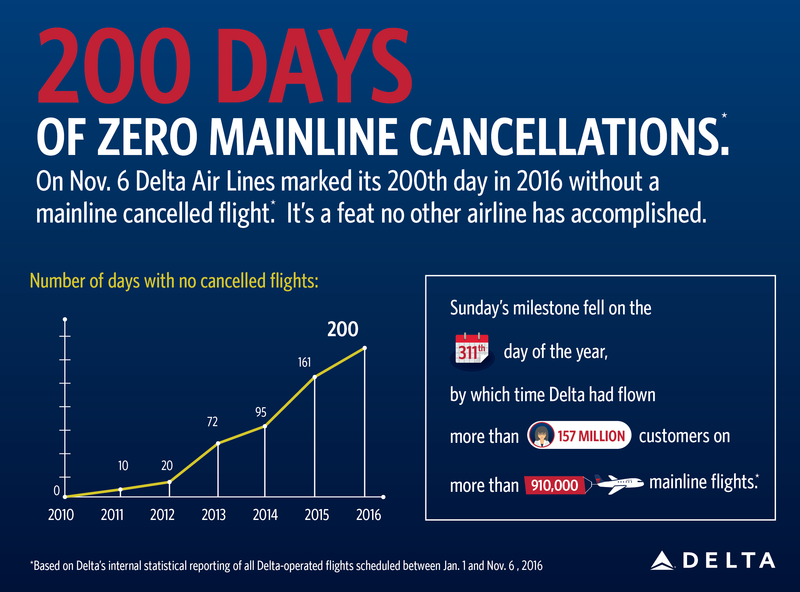 To put the new record into context, Delta in 2010 had zero cancel-free days for the year. In 2011, that number inched up to 10 and then doubled in 2012 before climbing to 161 in 2015. 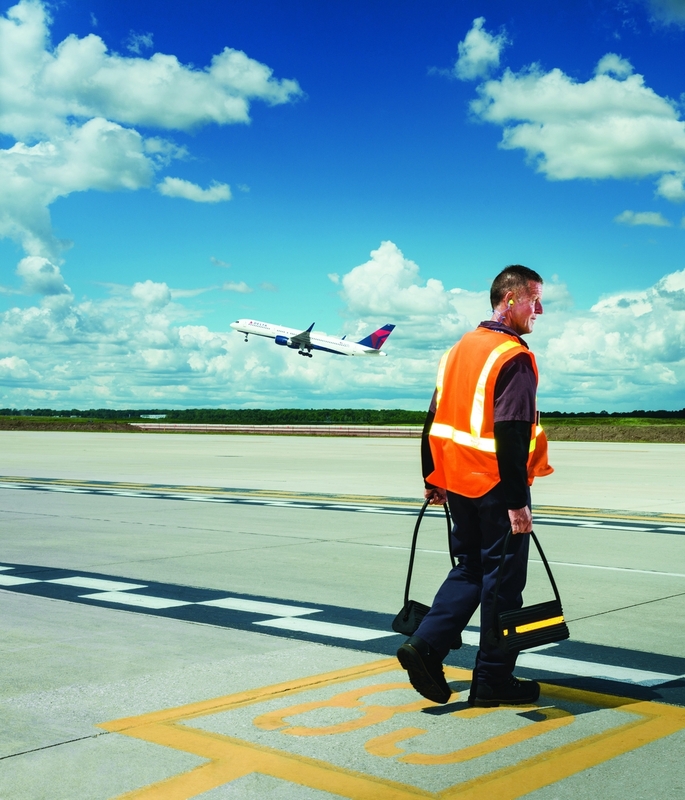 Sunday’s milestone fell on the 311th day of the year, by which time Delta had flown more than 157 million customers on about 910,000 mainline flights. And there are still 55 more days of cancel-free opportunity left in 2016. In addition to the mainline milestone, Delta has also achieved 67 "brand days" - days with no cancellations for Delta or any of its Delta Connection regional carriers - so far in 2016. Based on Delta’s internal statistical reporting of all Delta-operated flights scheduled between Jan. 1 and Nov. 6, 2016.